Alcathea (Alcalthaea suffrutescens): growing, planting, caring. A surprising hybrid between Alcea - the hollyhock - and Hibiscus syriacus - the rose of Sharon. 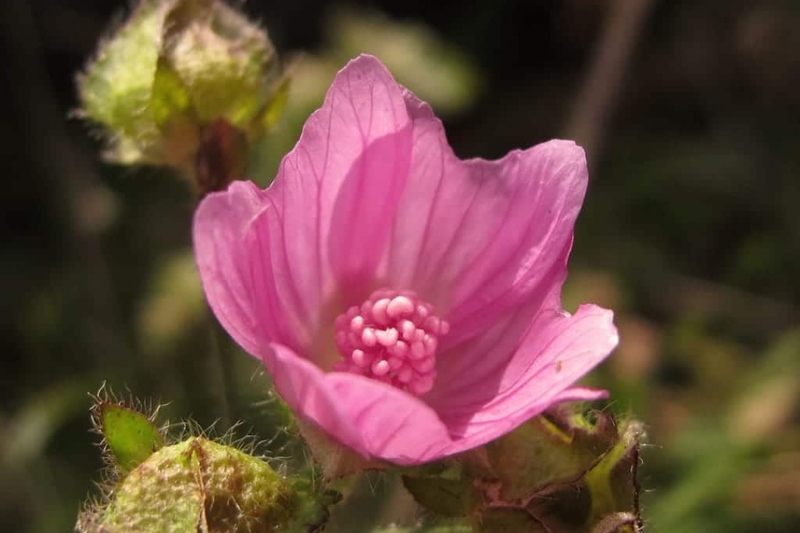 A cross between Alcea rosea and Althaea officinalis, Alcathea is a perennial growing up to 220 cm tall, with numerous, slightly branched inflorescences with creamy yellow cup-shaped flowers and rounded, palmate green leaves. It blooms from mid-July until well into September, and is perfect for sunny borders, cottage gardens as well as a cut flower. It prefers a dry, fresh and well-drained soil, which should be decalcified. A light winter protection might recommended. The alcathea needs 70 to 80 cm of space to settle. Plant it in the sun, in a rich, drained or sandy soil, preferably in spring, or in autumn in regions with a mild climate. Make a hole of 30 cm, install it without burying the base of the stems, and water copiously. If your land stays wet in the winter, add a 5- to 10-cm layer of gravel at the bottom of the hole. Alcathea is not very demanding in water. Water it two or three times during the weeks following planting, then do it only in case of drought, in summer. Alcathea is propagated by cuttings from April to September. Take stems and cut them with a disinfected pruner: the cuttings should be between 15 and 20 cm. Remove the leaves from the bottom half, which will be buried: the future roots will emerge from these "wounds". Remove any flowers and buds, and cut in half the remaining leaves. The cutting should breathe through these leaves, without sweating too much. In a large pot, filled with a substrate composed of equal parts of potting soil and sand, squeeze the cuttings, spacing them by 10 cm. Place this pot in semi shade. Sprinkle. Subsequently, water when the earth dries on the top. Watch for rooting, which is done in just three months in the summer. Repot the plants individually as soon as the roots are well develloped, and wait until spring to install them in their final place. Put them under frame in winter. For cuttings made in the second part of summer: "Forget them" by protecting the pot under frame as early as October. You will repot them in individual pot in March, and wait until June to install them definitively in the garden. In March, trim very short, to force the alcathea to grow new shoots. Afterward you can grow it without trimming, but it may look erected like a hollyhock. To give it a shrubby shape and obtain more flowers, you can still halve it in June. It will branch out, to reach 1.50 m as an adult.